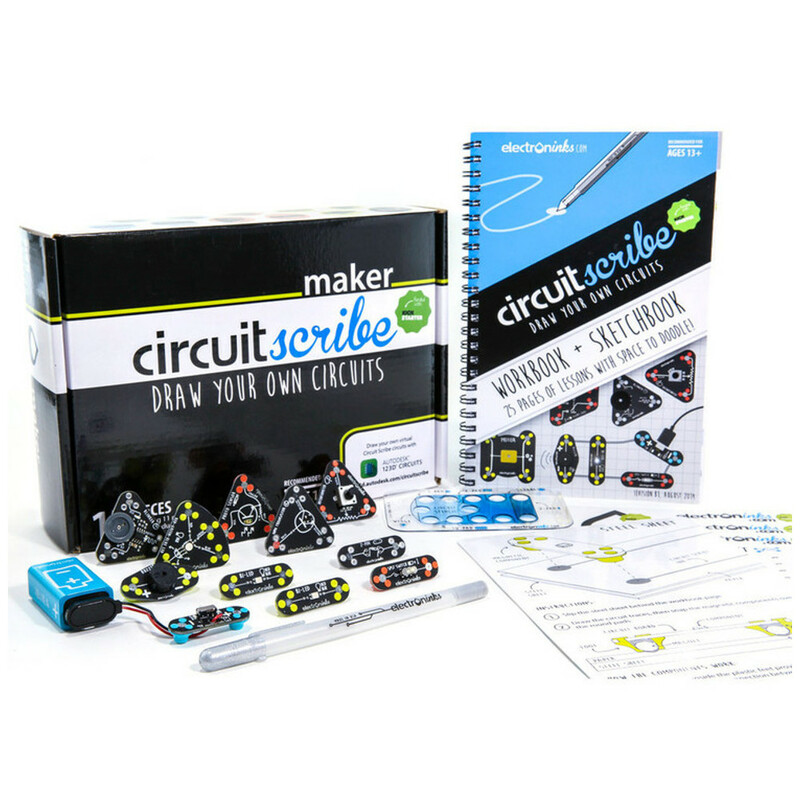 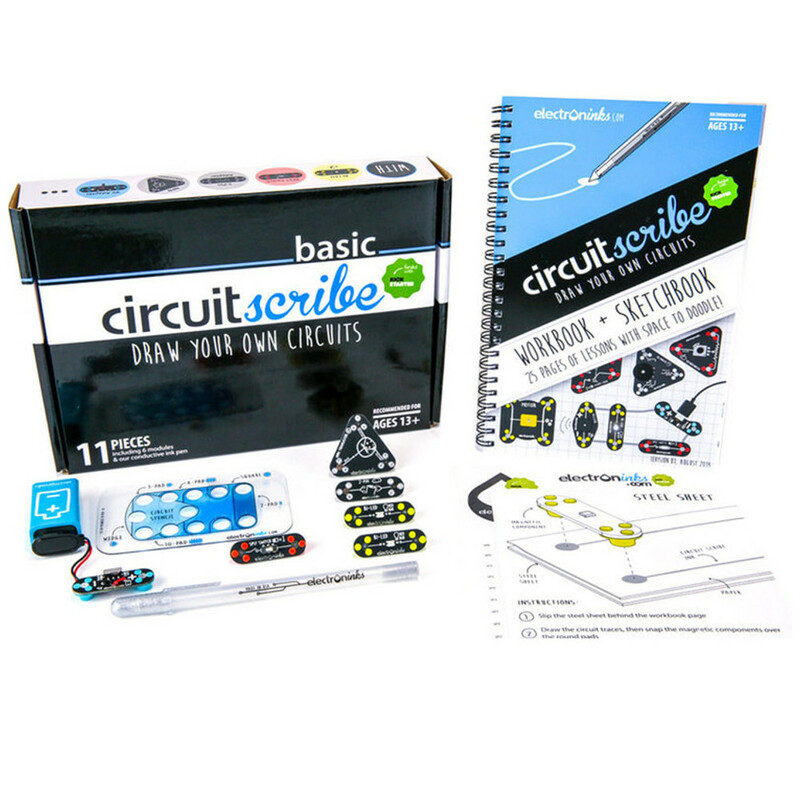 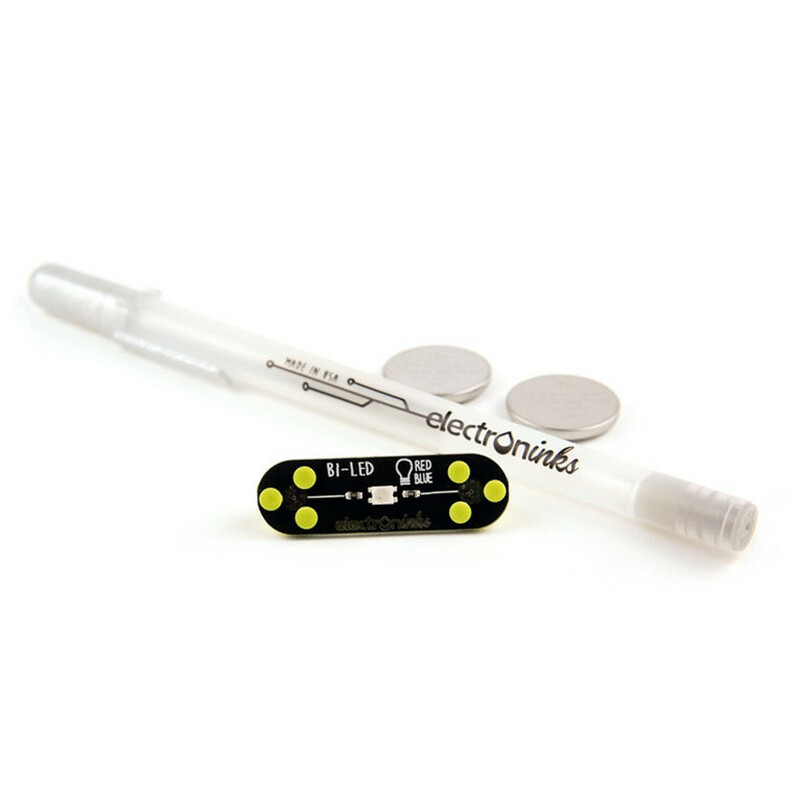 The Basic Kit contains a pen, six modules, a 9V Battery and other accessories to improve your circuit drawing experiences (see below for full list). 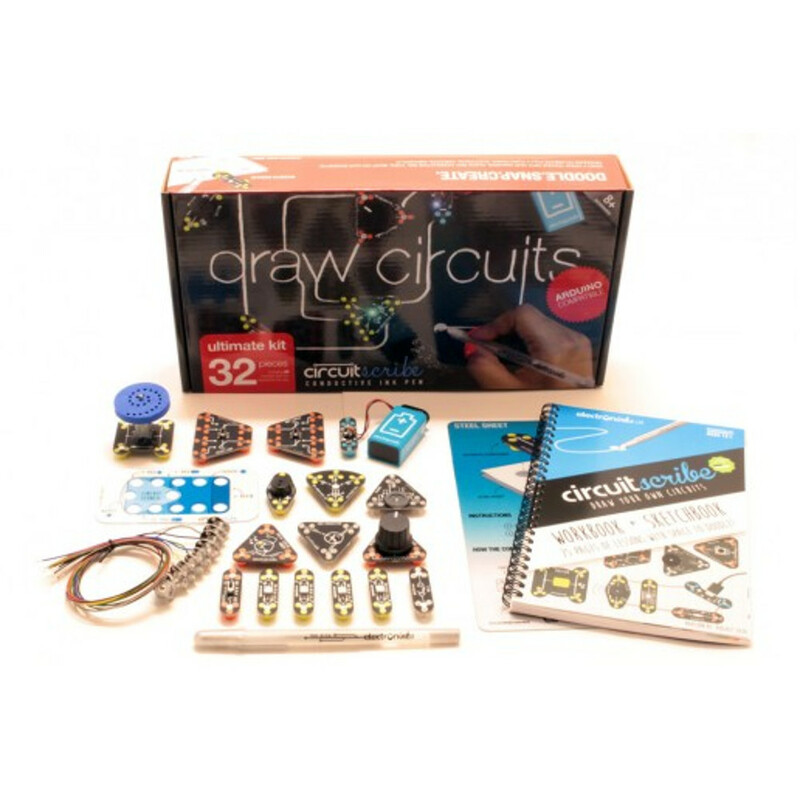 This kit allows you to explore all the light kit has to offer and more. 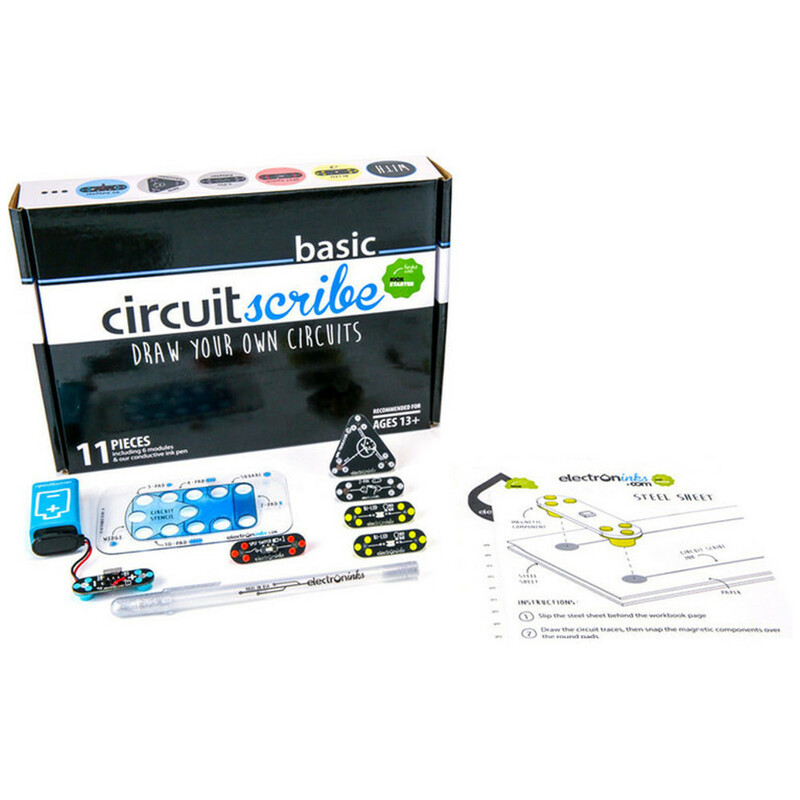 The 5 additional modules allow you to expand to learning about transistors, resistance, elements in parallel and series and expands upon understanding of open and short circuits, among other things.